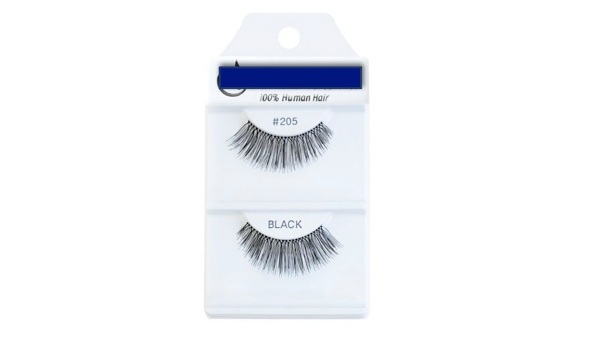 As a makeup artist of nearly 10 years now, when I started out doing makeup, I was using strip lashes that had this wiry band and were claimed to be “100% human hair”. I’m sure you all know what I’m talking about, you buy them in bulk at IMATS and they’re $1.00 each. When you work as a freelancer you do whatever you can to try and get the most bang for your buck, especially when it comes to you kit and your supplies. So at the time those lashes made the most sense. I always wished that there were something better on the market but this was before any of the brands we now have today even existed. I remember that night staying up till 2 a.m. researching lash suppliers and manufacturers. I was so surprised with what I found during my research, and it wasn’t until I began asking questions about where the materials for strip lashes and 3D mink lashes were sourced from, did I realize how unethical this industry was. That was an eye-opening moment for me - I realized then that if I wanted to embark on this project I needed to make sure I was being morally responsible. This is how vegan mink lashes was born. It took me 6 months to find a manufacturer that could make 3D faux mink lashes, and then another 7 months before I could find one that was willing to make small batch orders of custom designed styles for me. I took an array of samples I’d received from manufacturers and I would sit on my bed and cut them up, glueing different pieces together, then trying them on. From there I’d take photos and send those to a lash designer overseas to see if that was a viable style they could replicate for me. Working on this, while all the while freelancing and also holding down a 9-5 job was crazy, but I knew I had a great idea here and all I ever wanted to do was get back to my room where I’d created this shrine of faux mink lashes. I would try them on every night and deliberate over the lengths and densities of each style and how they’d look on other people. When I was finally ready to place my first bulk orders of lashes, it was 15 months into the entire process and all I had were 5 styles, but no packaging to put them in. The packaging was a whole other project - most companies have standard lash boxes in 4 different styles that you can choose from. I wanted something different, something no one else had and something unique to me. With a lot of help, I eventually came up with the design for my boxes and I have to say I really love them. They truly are unique and feminine, which was everything I wanted. Fast forward another 5 months and my lashes had arrived with boxes and all. I was so excited to get started, and begin building a website and promoting!